Eeeek! I usually stay far far away from it. Too bad on the shooting…I am sure you will get a chance soon! 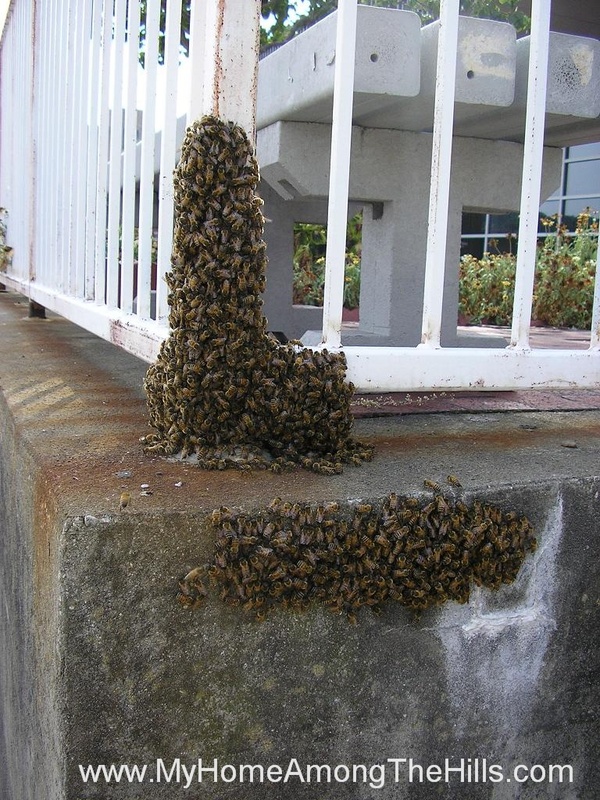 Bees are pretty easy going when in a swarm (though you still shouldn’t touch them). I think one of my favorite things about beekeeping is collecting swarms. It’s a great feeling to watch them march into the new hive. I am thrilled to sell folks my honey so I am glad that you seek out local honey. I pretty much jump at the chance to talk about bees anytime someone even sort of asks. Be prepared for that if you ever talk directly to the beekeeper! Fascinating! I never knew you had to put the queen in the hive more than once. Basically, I never knew anything about bees!